Latest News - Thanks to you! TOP 50 of all Amazon Kindle books! 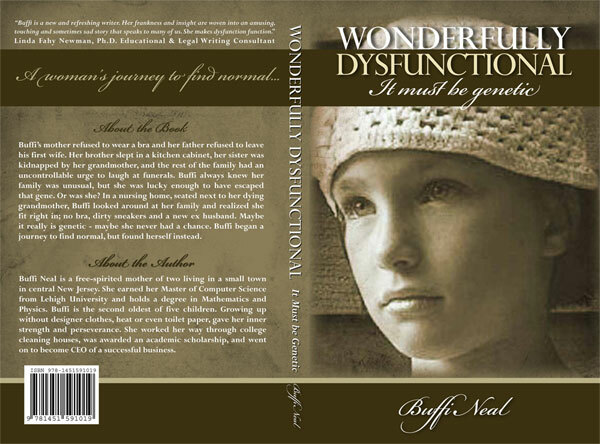 September 21 - Wonderfully Dysfunctional ranked Amazon #1 best selling Family Memoir! The memoir remained #1 for several days - and continued to stay on top 100 list for over 12 months. NOTE: BARNES&NOBLE Review Tour - If you selected to sign up for this tour, you will be contacted to switch over to Amazon or take a print copy. Keep an eye out for an email from me. Sorry for Delay. September 21 - Book Release and fundraiser was featured on NY PIX-11 news - See recording here. August - I received the first copy of the book. Sending it back for some final changes! June- The cover proof is in and the book is submitted to publisher for interior design! April - I will be hosting TheAuthorProject this fall AND attending the BookExpoAmerica! January - The first in my Wonderfully Dysfunctional series to be published SPRING! See the followers who helped make this happen. April - I started an on-line poll to find out if readers are interested. Check out my poll here. February - I joined the masses and started a blog to capture my journey to publishing. Check out my blog: How Many Days Does it Take to Get Published?